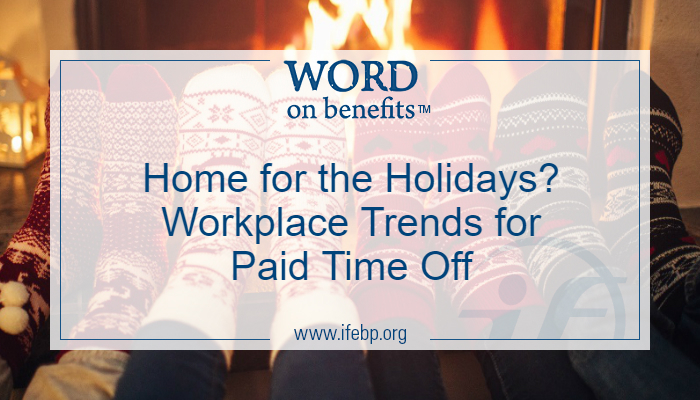 Paid time off is a hot topic in the workplace this time of year as we start planning for the holidays. Employees have questions about which days the office will be closed, how many vacation days they have left and whether they can carry paid time off into the new year. The International Foundation of Employee Benefit Plans report Paid Leave in the Workplace: 2017 Survey Results examines the common end-of-year leave practices among employers nationwide. Holiday Time: Of Employers Offering Paid Holidays, Which Days Are the Most Common? When it comes to offering paid time off for the holiday season, nearly all employers (99%) that offer paid holiday time offer Thanksgiving as a paid holiday, and 75% include the Friday after Thanksgiving. Slightly less than half of employers (45%) offer Christmas Eve as a paid holiday, but almost all (99%) offer Christmas Day. For the New Year’s holiday, just under one in four (23%) offers New Year’s Eve as a paid holiday, and 99% offer New Year’s Day. Thirteen percent of employers shut down their office and offer a full week of paid holiday leave between Christmas and New Year’s, giving their employees plenty of time for holiday festivities. Some employees have the option to choose which holidays they observe by taking advantage of floating holidays. Just under half of employers offer floating holidays—most commonly providing one or two days per year. This relatively inexpensive benefit is a win-win—allowing employers to create an inclusive paid leave package and giving employees time to celebrate the holidays they observe. 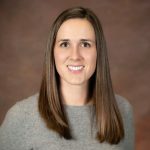 Vacation and PTO Banks: Rollover or “Use it or Lose It”? While some employees are rushing to use up their vacation time before the end of the year, the majority of employers allows workers to carry over their paid leave time. Eighty-three percent of employers allow workers to carry over some or all unused days in a PTO (paid-time-off) bank, and when it comes to standalone vacation plans, 74% allow their hourly workers to carryover days, and 77% allow the practice for salaried workers. If an employee wants to trade in their unused paid time off for cash, they may be able to do so. About one in seven organizations allow paid vacation sellback, where employees can sell back their vacation time. About one in five employers offering PTO banks has a sellback policy. Planning Ahead for 2018: Who Gets What, and Can You Buy More? Employees who are already planning ahead to their vacation time next year may be in for an increase of paid leave if they have reached a new service milestone. The report found that, on average PTO plans offer salaried employees 17 days after one year of service, 22 days after five years, 25 days after ten years, and 28 days after 20 years of employment. Like with PTO banks, organizations offering paid vacation increase the number of days with service. Salaried employees on average receive 12 days after one year of service, 16 days after five years, 19 days after ten years, and 23 days after 20 years. Under certain circumstances, some employees may be able to purchase additional paid time off. Eight percent of employers offering PTO banks allow employees to buy additional time off, and 6% of employers with vacation plans allow employees to purchase additional paid leave. Find the full report Paid Leave in the Workplace: 2017 Survey Results here: www.ifebp.org/paidleave.